Manila, Philippines, February 2015 - For the return of one of its most successful TV series, FOX Philippines is anticipating ratings to go through the roof as it did in October 2014 for the Season 5 premiere of The Walking Dead. The hit post-apocalyptic drama series from the US garnered the highest-rated telecast ever for the channel, beating the Season 4 premiere by 57 percent in terms of total number of viewers and making it the top pay channel during the 8:55 PM telecast on October 13, 2014. FOX Philippines is confident that these results will be replicated or exceeded by viewers tuning in to the channel when the second part of The Walking Dead Season 5 premieres on February 9. The premiere of the first part of The Walking Dead Season 5 allowed FOX to edge out other pay channels such as C1NEMAONE and PBO. This significant increase in viewership indicates that fans of The Walking Dead are progressively tuning in to FOX to catch up on the story of Rick Grimes and his ragged band of survivors, making it highly likely that more fans in the Philippines will watch the premiere of Part 2 of Season 5 than ever before. 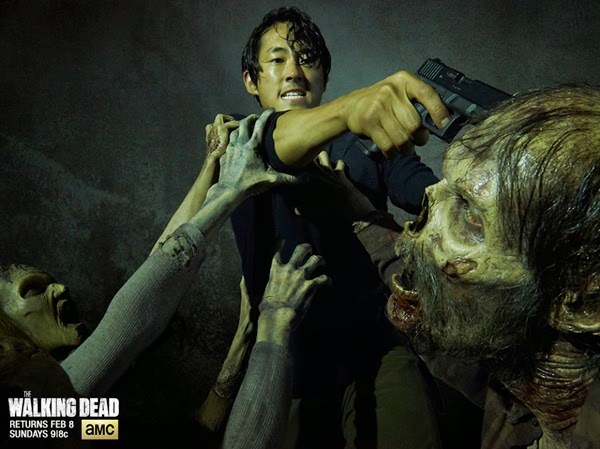 Catch the premiere of the second half of The Walking Dead Season 5 on February 9, 2015 at 11:35 AM MLA, immediately after its US telecast, and 8:55 PM. Die-hard fans can also tune in for the Quick Replay of the episode at 9:50 PM to immediately relive the excitement of the return of The Walking Dead Season 5, only on FOX.